Satisfy your inner culture vulture at Palatine Hill and St. Peter's Basilica. You'll discover tucked-away gems like Vatican City and San Pietro in Vincoli. And it doesn't end there: contemplate the long history of Colosseum, appreciate the extensive heritage of Piazza Navona, explore the world behind art at Galleria Borghese, and don't miss a visit to Roman Forum. For reviews, ratings, where to stay, and other tourist information, read our Rome trip maker tool . Sao Paulo, Brazil to Rome is an approximately 15-hour combination of bus and flight. You can also do a combination of bus, flight, and train. The time zone difference moving from Brasilia Time to Central European Time is 4 hours. In June, Rome is a bit warmer than Sao Paulo - with highs of 34°C and lows of 21°C. Finish your sightseeing early on the 5th (Wed) so you can travel to Ravello. Ravello is a town and comune situated above the Amalfi Coast in the province of Salerno, Campania, southern Italy, with approximately 2,500 inhabitants. Your itinerary includes some good beach time at Spiaggia di castiglione and Lido Capo di Conca. Get some cultural insight at Duomo di Ravello and Villa Rufolo. 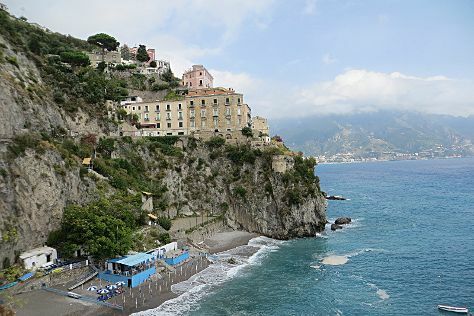 Step out of Ravello to go to Positano and see Fornillo, which is approximately 56 minutes away. Next up on the itinerary: admire the natural beauty at Villa Cimbrone Gardens, appreciate the extensive heritage of Centro Storico Ravello, get a taste of the local shopping with Ceramiche d'Arte Carmela, and enjoy the sand and surf at Lido di Ravello. To find traveler tips, other places to visit, and tourist information, refer to the Ravello trip itinerary tool . Traveling by combination of train and subway from Rome to Ravello takes 3 hours. Alternatively, you can drive; or do a combination of train and bus. Expect slightly colder weather when traveling from Rome in June: highs in Ravello hover around 30°C, while lows dip to 26°C. 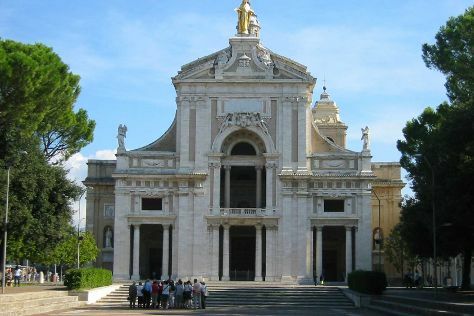 Finish up your sightseeing early on the 8th (Sat) so you can go by car to Assisi. Popular historic sites such as Basilica di Santa Maria degli Angeli - Porziuncola and Basilica di Santa Chiara are in your itinerary. Step off the beaten path and head to Duomo di Orvieto and Eremo delle Carceri. Change things up with these side-trips from Assisi: Pozzo di San Patrizio (in Orvieto), Chiesa di San Fortunato (in Todi) and Cattedrale di Santa Maria Assunta Spoleto (in Spoleto). Next up on the itinerary: take in the architecture and atmosphere at Basilica inferiore di San Francesco d'Assisi, step into the grandiose world of Rocca Maggiore, do a tasting at Montioni Frantoio e Cantina, and steep yourself in history at San Damiano. To find more things to do, photos, maps, and tourist information, use the Assisi trip itinerary planner . Traveling by car from Ravello to Assisi takes 4.5 hours. Alternatively, you can take a train; or do a combination of bus and train. Traveling from Ravello in June, you can expect nighttime temperatures to be little chillier in Assisi, with lows of 18°C. Finish up your sightseeing early on the 11th (Tue) so you can go by car to Florence. Start off your visit on the 12th (Wed): examine the collection at Academy Of Florence Art Gallery, steep yourself in history at Basilica San Miniato al Monte, then take some stellar pictures from Piazzale Michelangelo, then explore the world behind art at Uffizi Galleries, and finally take in the views from Ponte Vecchio. On the next day, admire the masterpieces at Pitti Palace, take an in-depth tour of Basilica di Santa Croce, then pause for some serene contemplation at Cathedral of Santa Maria del Fiore, then take in panoramic vistas at Campanile di Giotto, and finally take in the spiritual surroundings of The Baptistery of St. John. For maps, other places to visit, traveler tips, and more tourist information, use the Florence vacation builder website . Getting from Assisi to Florence by car takes about 2.5 hours. Other options: take a train. In June, plan for daily highs up to 33°C, and evening lows to 21°C. Wrap up your sightseeing on the 13th (Thu) to allow time to take a train to Venice. Step off the beaten path and head to Scrovegni Chapel and Basilica Santa Maria Gloriosa dei Frari. 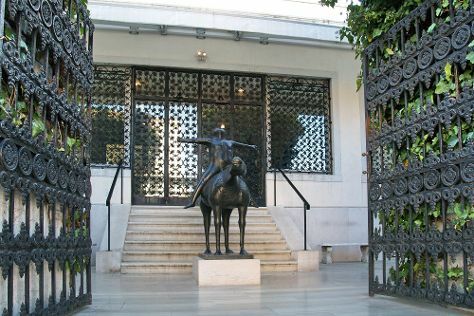 Do some cultural sightseeing at Peggy Guggenheim Collection and Doge's Palace. Go for a jaunt from Venice to Padua to see Basilica di Sant’Antonio about 58 minutes away. And it doesn't end there: explore the activities along Canal Grande, get to know the fascinating history of St. Mark's Square, explore the world behind art at Gallerie dell'Accademia, and pause for some serene contemplation at San Giorgio Maggiore. To find more things to do, where to stay, and tourist information, read our Venice itinerary planner. Traveling by train from Florence to Venice takes 2.5 hours. Alternatively, you can drive; or take a bus. In June, plan for daily highs up to 32°C, and evening lows to 20°C. 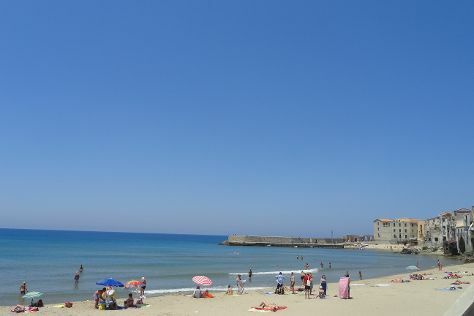 Finish your sightseeing early on the 16th (Sun) to allow enough time to travel to Palermo. Deepen your sense of the past at sights like Parco Archeologico di Selinunte and Duomo di Monreale. Your cultural itinerary includes sights like Cefalu Coast and Norman Palace and Palatine Chapel. You'll find plenty of places to visit near Palermo: Duomo di Cefalu (in Cefalu) and Riserva Naturale Orientata dello Zingaro (in Castellammare del Golfo). It doesn't end there: contemplate in the serene atmosphere at Santa Maria dell'Ammiraglio and pause for some serene contemplation at Cattedrale di Palermo. To find reviews, ratings, more things to do, and other tourist information, go to the Palermo itinerary maker app . Fly from Venice to Palermo in 4.5 hours. Alternatively, you can do a combination of train and flight; or do a combination of flight and bus. You will leave for home on the 20th (Thu).